Upper Deck Authenticated signed collectibles are stunningly beautiful, absolutely authentic and, well, a little bit pricey. 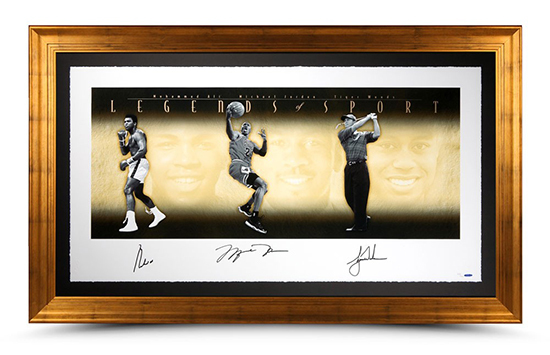 For example, if you wanted a signed framed “Legends of Sport” collage of Muhammad Ali, Michael Jordan and Tiger Woods, it can be yours for just $8,999.99. Too expensive? 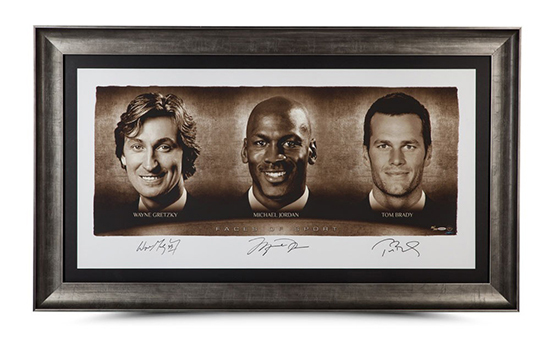 How about this “Faces of Sport” piece featuring autographs of Wayne Gretzky, Michael Jordan and Tom Brady for just $7,999.99. 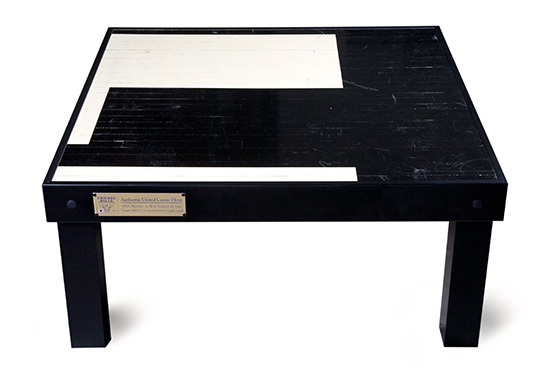 If signed collectibles aren’t your game, check out this coffee table that features game-used floor from the Chicago Bulls United Center. That’s a bargain at just $4,999.99. Just a head’s up, you’ll probably want to invest in some coasters for this baby. Certainly, not everything is that expensive on UpperDeckStore.com. We are showing the higher-tier of collectibles here, but if you are like 99% of the population, those items are probably out of your budget. 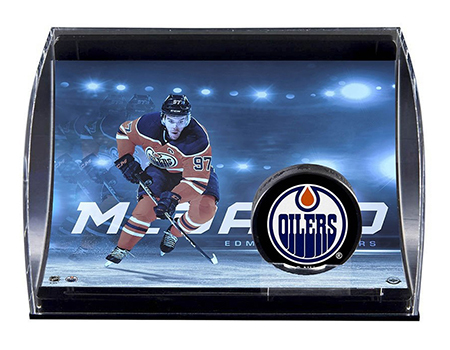 Upper Deck Authenticated really wants to provide fans with a variety of price points to allow fans to invest in their passion and show off collectibles from their favorite players in an awesome way. 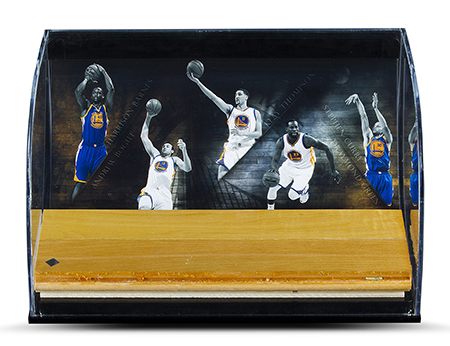 Last year we debuted the “Defenders of the Hardwood” series for basketball which feature game-used floor pieces with great team imagery in an attractive and modern display. These are available for under $200.00. 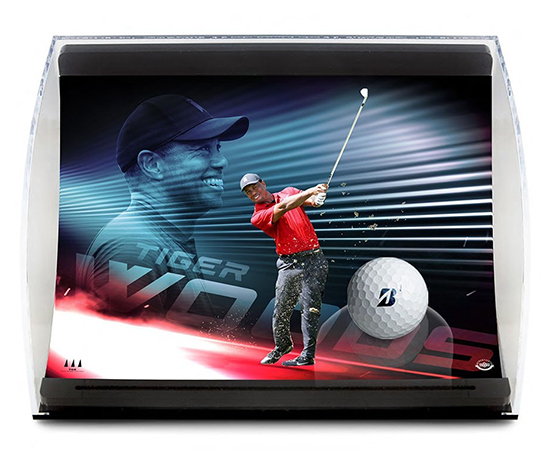 Just recently we’ve released great looking unsigned curve displays for Connor McDavid and Tiger Woods that are available for just $99.99. One of the pieces that really people are really talking about however are the new Maple Wood Prints. These premium licensed pieces look amazing with imagery that draws onlookers in. These are available for just $149.99. We’ve made them for top spokespeople and will be adding more to this line in the future.